Purification Lodge, Cacao Ceremony and Sound Bath. 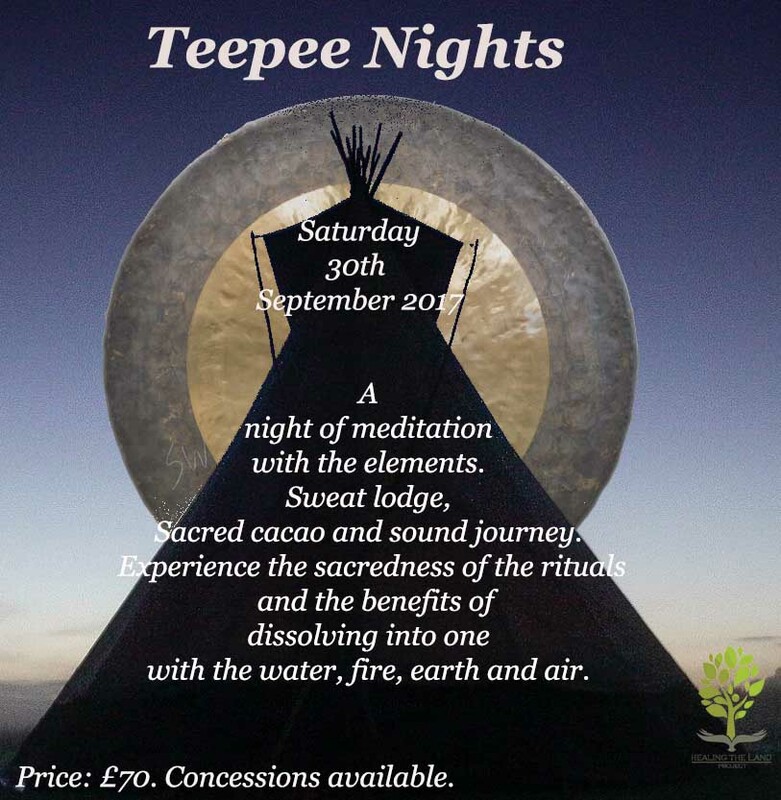 Come and experience a night of teepee and sacred fire celebration contemplating the elements. Mother Earth waits patiently to hold into her heart frequency. The rituals of water & Fire will purify our hearts minds and bodies to connect with Mother Earth. The hosts Rafasemilla, Adrienne Kuna and Dominique Annaliesewill provide a wonderful platform for inspiration and transformation during this night, which will include a sacred sweat lodge ritual followed by cacao ceremony and sound healing journey. Rituals are portals to our ancestors and to our inner-self. They are an opportunity toelevate and purify our emotions and soul. Our ancestors have performed these rituals for thousands of years and they are a powerful way to connect and transform. Experience the strength of each ritual and the benefits in dissolving into one with the elements of water, fire, earth and air.